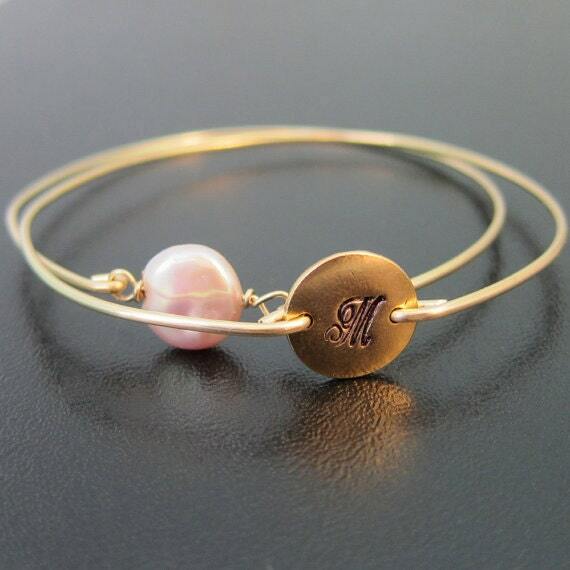 This is a dainty & delicate set with your choice of gold plated or silver plated initial disc in an elegant cursive font, with a soft peach pink coin pearl bracelet. Both are paired with your choice of 14k gold filled bangle bands or sterling silver bands... And comes in a pretty blue box for gifting. 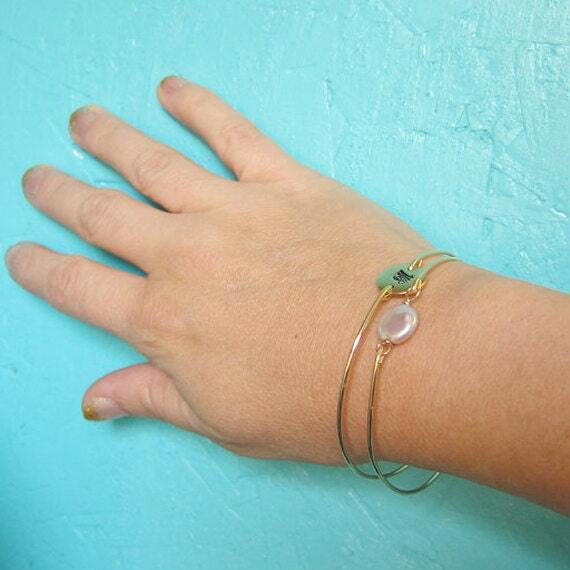 I can also make this set with more delicate gold tone brass bangles for just $29.95 or silver filled bands also for the same price. Please convo me for a custom listing if you would like either of these versions. 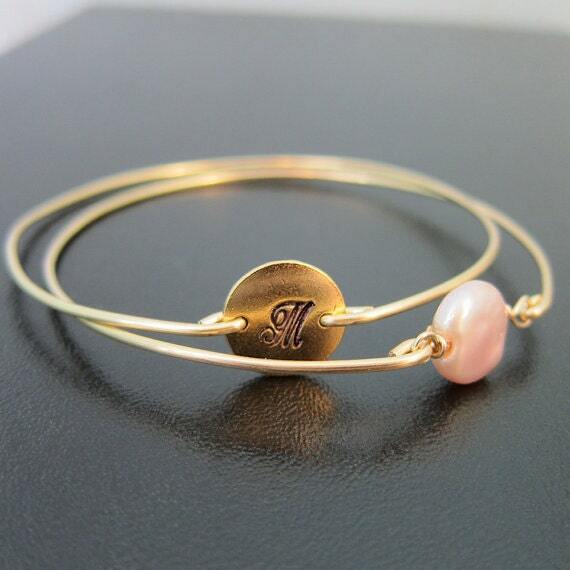 This bridal jewelry created and hand crafted with great care and love for you and yours. All of my wedding jewelery and other items are special handmade creations that are original Frosted Willow designs.